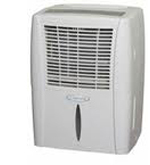 The Comfort Aire Dehumidifier range includes three models. They all control humidity well and have the full range of features you need and expect. In reviews of this brand there are many negative comments about the short life-time of these units. There are two things I want to say about this. Many of the reviews published on web sites date back as far as 2006 and are not about the current models. There are no portable models sold in the USA which I can tell you for certain will last more than a couple of years. Having said that I must add that I don't rate Comfort Aire as the very best brand to buy. They are fine but I would choose Danby, Frigidaire or GE above a Comfort Aire Dehumidifier. On the plus side many users find Comfort Aire units quieter than some other brands and the timer is more flexible than on a number of the more popular models so while I would not say the Comfort Aire Dehumidifier is the best choice for your home neither would I say you should avoid it if it has a particular feature you find useful. 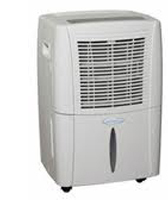 The Comfort Aire Dehumidifier is distributed by Heat Controller Inc. located in Jackson, Michigan. Founded in 1933 the company can trace its origins back to the Wingert Furnace Company which began manufacturing coal, gas and oil furnaces in 1907. 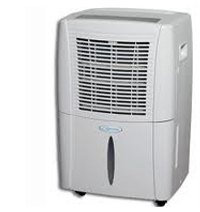 From the mid 1950's the company has focused on the manufacture of room air conditioners and central air conditioning. Like so many other companies Heat Controller no longer makes dehumidifiers in its US factories and the Comfort Aire range is made in the People's Republic of China. If you are looking for a model made in the USA Comfort Aire is not the brand for you. The BHD651G will collect up to 65 pints of excess moisture every day. It has every feature you may need and is one of the quieter high capacity models in the market. Large portables are popular for use in basements and the BHD651G will work well in a basement with an area no greater than 1100-1300 square feet. For best results the BHD651G should be used in basements or other rooms where the air temperature is usually at least 65°F/18°C. If you would like to look at an alternative to the BHD651G I recommend the GE ADER65LP as the closest match in performance and quality. For slightly smaller areas, 700-900 square feet, the BHD501G 50 pint model fits the bill. Apart from its lower water removal power the BHD501G is identical to the 65 pint model with the same advantages and disadvantages. This is a high capacity unit and ideal for smaller basements. It has more power than you would need for much smaller areas, such as a bedroom. My recommended alternative to the BHD501G is the Danby DDR5009REE which has the same 50 pint capacity and has earned high marks from consumers in reviews. The BHD301G is a lower capacity unit and is quieter than the more powerful models in the range. Its 30 pints per day is ample for smaller areas in your home and its quieter operation makes it one of the best models you could choose for your bedroom. This unit will be very effective in areas up to 400 square feet so it is not powerful enough for any but the smallest of basements. Despite its lower power the BHD301G has all the features of the 50 and 65 pint units, including electronic controls. If you want to consider other brands my top pick has to be the Frigidaire FAD301NUD which is an equally excellent small portable.